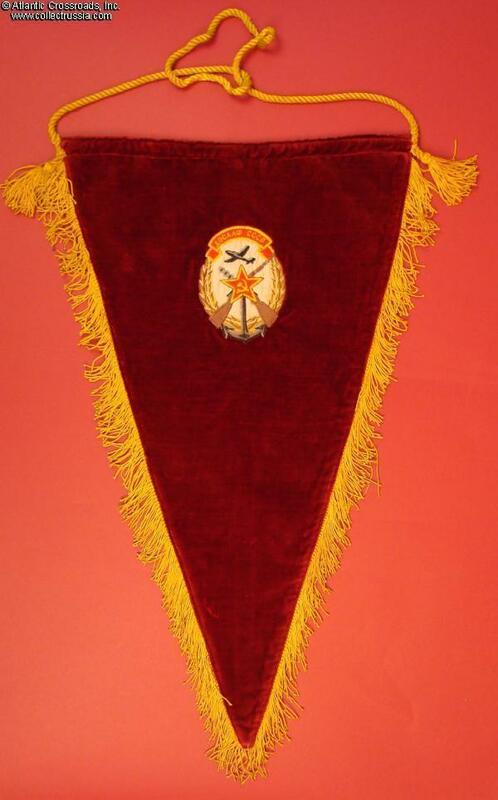 DOSAAF Paramilitary Organization Award Pennant in velvet, circa 1950s-60s. 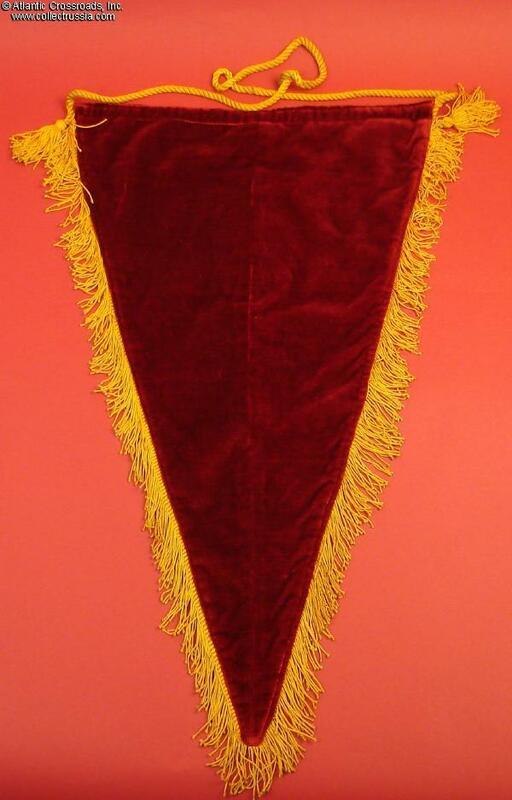 In maroon velvet with gold fringe. Approx. 13" wide at the top, 21 ½ " tall not including the suspension rope and the fringe. 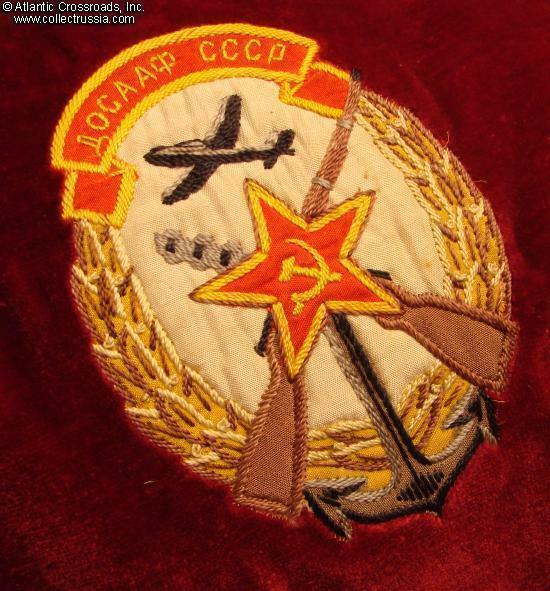 The emblem of the organization is part sewn-in, part embroidered in multicolor silk. A fine quality piece. 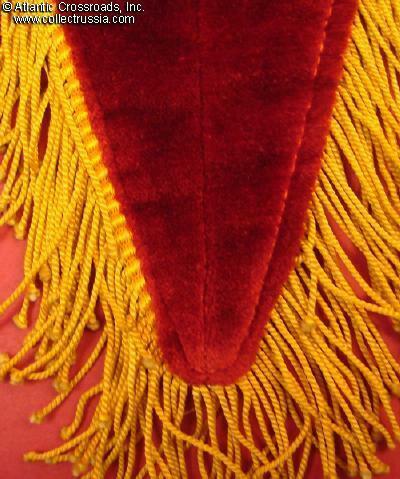 Note the two decorative tassels at the ends of the rope - an uncommon design element. In excellent condition. The pennant does not include a horizontal support bar (easy to replace) but will display nicely anyway.